Marvin Doors and Windows has cultivated a worldwide reputation as an industry leader in product innovation, energy efficiency and progressive manufacturing techniques. Bringing you superior value through expert craftsmanship, the highest quality materials and an extraordinary level of service, only Marvin offers unmatched design flexibility with made-to-order Doors and Windows — and the industry’s most extensive selection of customization options. Marvin builds windows the only way they should be built. One at a time. Made to order. No shortcuts. No good enough is good enough. It’s this philosophy of doing it the right way that makes us who we are at Marvin. From the moment we began back in 1912, right up through breakfast this morning. The industry’s most extensive selection of shapes, styles, sizes and options. To deliver uncompromising fit and finish. To capture classic details and historical design features. To tirelessly pursue more innovative design. To discover new ways of enhancing performance. Marvin shades are fully integrated, appearing as a seamless part of the window or door and match any current Marvin interior finish. Functionally graceful, there are no visible cords or pulleys and the precise fit eliminates virtually all light bleed. When you choose shades from Marvin, its a one-stop shop—you don’t even need to measure for installation. Adding beauty and functionality to a home through integrated shades is now possible. 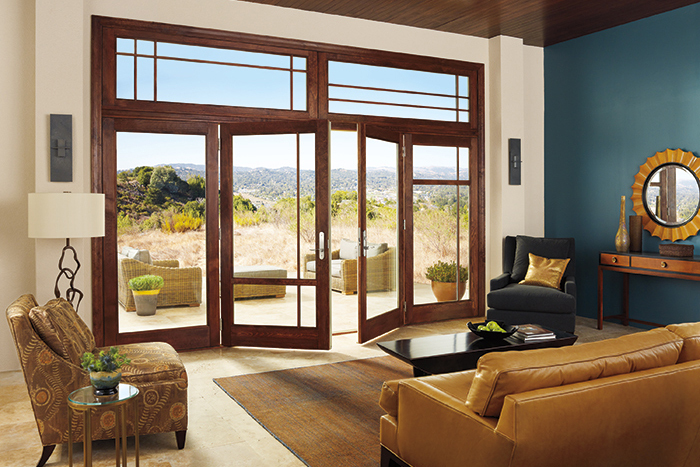 Marvin's extensive offering of exterior clad colors gives you endless ways to bring your design dreams to life. Unlike many door and window companies who use roll-form aluminum, Marvin Doors and Windows feature extremely durable extruded aluminum and a tough protective finish for a substantially stronger, low-maintenance product that’s built to last. All aluminum cladding is not created equal. 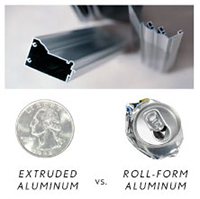 Our extremely durable extruded aluminum substrate is significantly stronger than roll-form aluminum. Marvin clad meets the toughest AAMA 2605 70% PVDF standard for a finish with superior resistance to fading and chalking. Marvin makes it easy to complement any project or design with an array of high-quality standard wood options, including Pine, Douglas Fir, White Oak, Cherry and more. And if your project requires the one-of-a-kind look of an unusual wood species, Marvin offers many beautiful and unique species including Maple, Black Walnut and Western Red Cedar. Introducing Marvin factory-applied interior finishes. 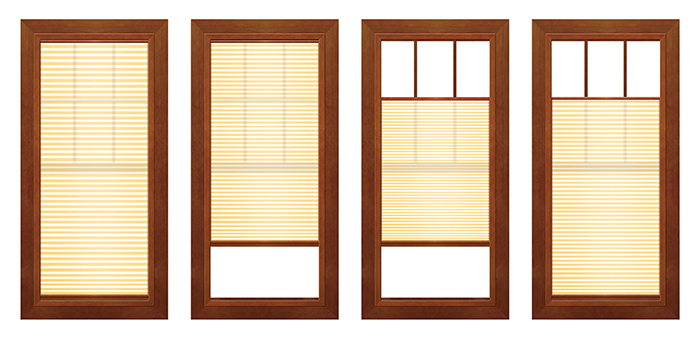 Now, you can order beautifully finished doors and windows that are ready to install the day they arrive. What separates our factory-applied finishes from other manufacturers, is that our unique, proprietary multi-step, integrated conditioning and staining process begins before a door or window is even assembled. Every single piece of wood receives even coats of conditioning and stain, two coats of clear finish, and is sanded and baked twice in an oven. Only then are your doors and windows built to your specifications. We do this because it is the only and best way to create a more consistent, durable and high-quality finish that brings out the natural beauty, texture, and grain of the wood. Let's face it. 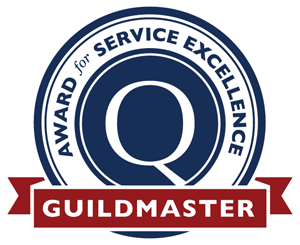 Staining doors and windows is a hassle. It consumes your precious weekend time, is a complete mess, and fills your home with awful fumes. Ordering Marvin doors and windows with beautiful factory-applied finishes is a great way to achieve ready-to-install doors and windows without the mess, potentially harmful fumes and the time commitment. Now, you can enjoy the convenience of letting us take care of the dirty work. So you can spend less time staining, and more time enjoying your new doors and windows, and the magnificent views out of them. Marvin offers elegant hardware that will stand the test of time. Choose from a variety of finish options, or match a particular motif with Marvin Architectural Hardware. This collection of designer handles completes our doors and windows with choices that complement a wide variety of architectural and design styles. 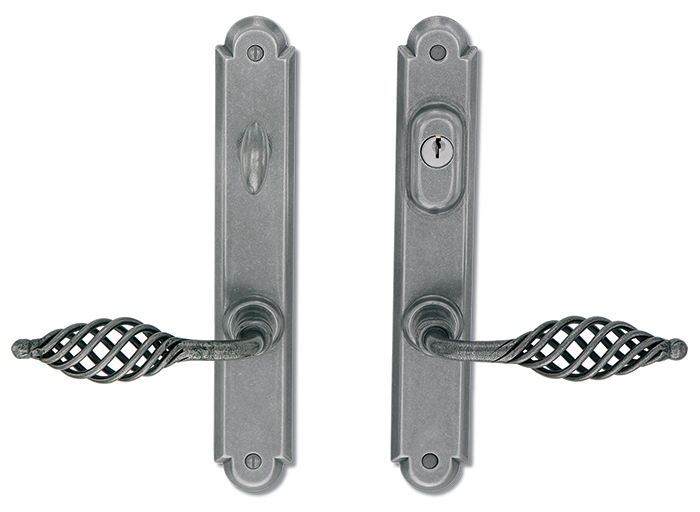 Marvin's durable hardware is engineered to work seamlessly with our doors and windows, and comes in a variety of standard finishes. If your project requires a more distinctive hardware design, the Marvin Architectural Hardware series offers designer handles with distinctive looks that complement your unique architectural style and complete your vision. *A federal tax credit may be available for homeowners who make qualifying energy improvements. Learn more about the tax credit and how it can apply to your home.